Pride Cymru, which was previously known as Cardiff Mardi Gras, is a popular Pride festival held every year in Cardiff. The first ever Cardiff Mardi Gras was held in September 1999 in Bute Park. The event was an instant success with more than 5,000 people attending. Pride Cymru, which was previously known as Cardiff Mardi Gras, is a popular Pride festival held every year in Cardiff. Today, the festival has transformed and became one of UK’s biggest pride events. 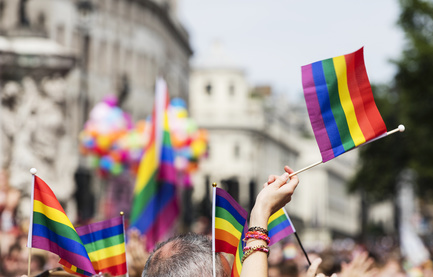 In 2017, approximately 20,000 attendees joined in with Pride Cymru. The biggest celebration of diversity and equality in Wales is back, and this year’s extravaganza appears to be larger, better and even louder than ever. Pride Cymru’s big weekend is going to provide three days of a pure, party atmosphere plus extravagant entertainment in Cardiff, celebrating as well as promoting the significance of LGBT+ (GLBT+) people plus culture in communities and bringing over 200,000 people together to celebrate in the capital city of Wales. More than three days Pride Cymru is going to host 50,000 people who will be celebrating the GLBT+ community. In Cardiff’s calendar, Pride Cymru is regarded as the most colourful event. It’s going to turn the City Hall Lawn plus the neighbouring streets into an amazing carnival of diversity, with amusement, funfair rides as well as entertainment from some of the biggest names in music in the United Kingdom. 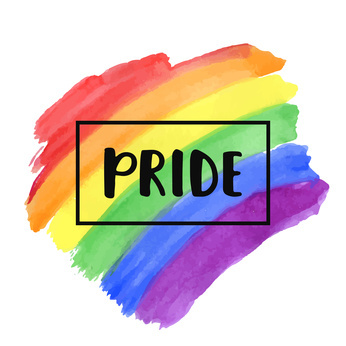 The official Pride parade will take place on Saturday 25 August 2018. Around 10,000 people are expected to walk the mile-long course in the city centre. Organisations, groups, individuals and families are all welcomed to come and join the parade to display the true equality and diversity across Wales. The event will begin at 11 am and registration will start at 9 am where the North Road begins (by the Civic Centre). This parade will end at the Civic Centre at around 12.30 pm. On Friday, Flip ‘n’ Fill (Manchester-based electronic dance music duo) will perform a DJ set. Also, singer and songwriter Angie Brown, as well as Sonique, will perform on this day. Sonique is an award-winning singer, DJ and producer. She’s best known for her hit single called It Feels So Good, which was released in 1998. Gabrielle, singer and songwriter who’s best known for her nineties singles Going Nowhere and Dreams, is also scheduled for Friday. On Saturday, Derrick Barry will appear as Britney Spears. He’s best known for taking part in America’s Got Talent third season, and also the RuPaul’s Drag eighth season. Additionally, Broadcasting Corporation’s All Together Now’s The Sundaes and Saara Aalto (X Factor star) will appear. Since it’s the fun part and Pride is for everybody, you can wear anything that you like; for instance a fancy dress or short and T-shirt. #ProudToBeMe is the theme for 2018. The campaign is aiming at encouraging members of the GLBT+ community to use their voice plus be proud of their own identity. The cost of Friday’s standard ticket is 7 pounds. VIP tickets for Friday, Saturday or Sunday (including a glass of bubbly) is 25 pounds. Also, a 1.20 -pound ticket fee plus VAT are applicable. You can purchase the tickets online, and also they’ll be available on site, but the prices won’t be the same.